Could Exercise Improve Prostate Cancer Survival? You are here: Home / Press Releases / Could Exercise Improve Prostate Cancer Survival? NEW YORK, Feb. 8, 2016 /PRNewswire/ — World renowned robotic prostate surgeon, Dr. David Samadi, encourages men to stay active no matter what their age as part of their prostate cancer prevention plan. 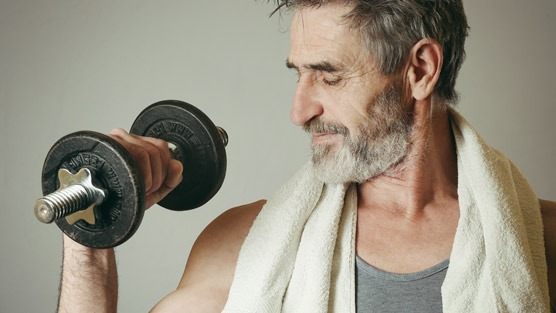 A new study trial out this past month called PANTERA, backed by Cancer Research UK will look into the health benefits of exercise for men with prostate cancer. It is a known fact that exercise keeps our bodies healthy, but the affect it has on prostate cancer has not been well documented. This new, yearlong trial will analyze men who already have prostate cancer, and follow them while they undergo weekly aerobic sessions by researchers to explore the possible health benefits. If results are significant, then the year-long study will lead to a full research trial. This trial aims to test whether regular exercise can help keep prostate cancer from spreading to other parts of the body. Other research suggests that men who are physically active after being diagnosed with prostate cancer have a better rate of cancer survival than men who aren’t active. Researchers don’t know exactly why this is, but they surmise that exercise positively affects DNA repair in the body and might affect how some genes regulate cancer cell growth. If the new UK study shows positive outcomes, exercise regiments may start to be used as a form of treatment for long term prostate cancer care. The research team is hopeful, as some participants have seen a drop in weight and PSA since starting aerobic exercise for the trial. The study developers hope that this study can help develop a clearer understanding of how and why physical activity benefits men with prostate cancer. Furthermore, it can act as a good motivator to keep men following a healthy lifestyle after cancer treatment. In the past, research has suggested that exercise could reduce prostate cancer risk, or reduce risk of death from prostate cancer. For example, one study out of Stockholm, Sweden last year noted that men who walked or bicycled for at least 20 minutes or more each day had a 39 percent lower risk of dying from prostate cancer and a 30 percent lower risk of dying from all other causes, compared to men who exercised less than 20 minutes a day. This new study differs in that it will explore the possible benefits after diagnosis, but before definitive treatment. As for how the two (prostate cancer and exercise) are connected, it may be a reduction in inflammation and fat tissue, or possibly hormonal changes that may reduce prostate cancer growth.